Greatest Soviet relic Mausoleum of Vladimir Lenin. This architectural monument to Lenin – the revolutionary, thinker, leader is well known around the world. 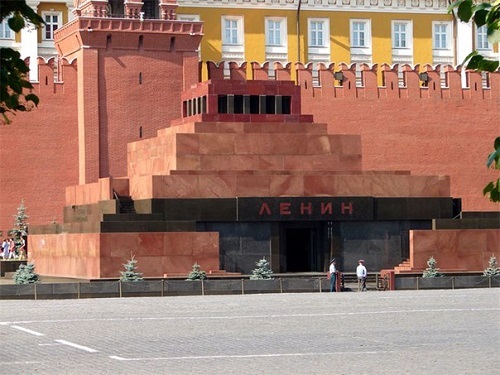 Lenin’s Mausoleum – the creation of an outstanding architect of our time Alexey Viktorovich Shchusev. 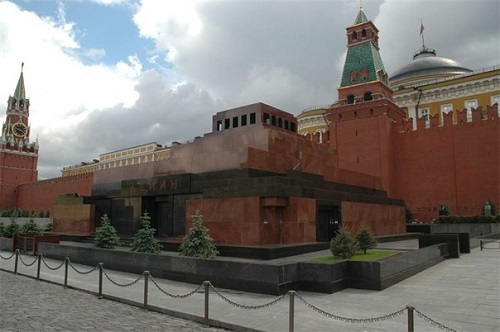 The history of the Mausoleum was told in the memories of People’s Architect of the USSR D. Chechulin: “I remember the hard days of January 1924. Unprecedented frost, bonfires in the streets, endless queue to the Hall of Columns of the House of Unions, Alarm beeps, Crystal chandeliers in the Hall of Columns, black crepe, pain of irreparable loss… In those days, only once Shchusev appeared in the training workshop addressing to the students, and his colleagues, he said that he is extremely busy: in a matter of days and hours is necessary to build a temporary mausoleum. 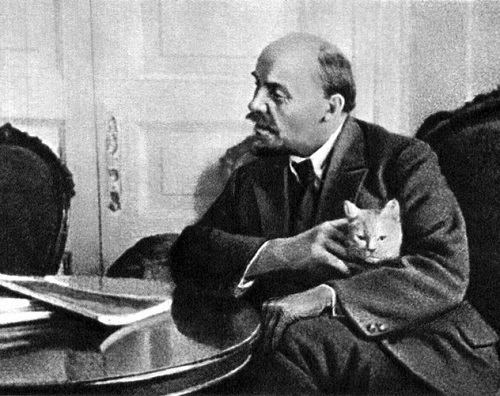 – Vladimir Ilyich is eternal. His name is forever, forever entered the history of Russia, the history of mankind – Shchusev said. – How do we honor him? How to note his tombstone? Cube is eternal in our architecture. From the cube is the diversity of architectural creativity. 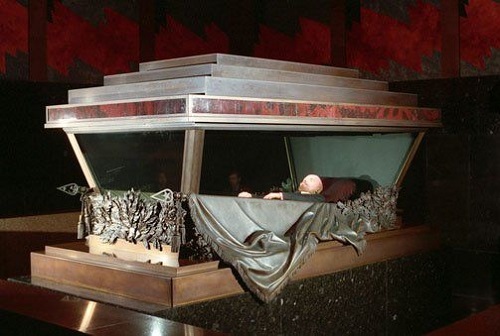 Let Mausoleum, which we are now to set up in memory of Vladimir Ilyich, make a derivative of the cube. I imagine something like that – and he quickly sketched with a pencil that project of Mausoleum, which, in a developed form was approved. 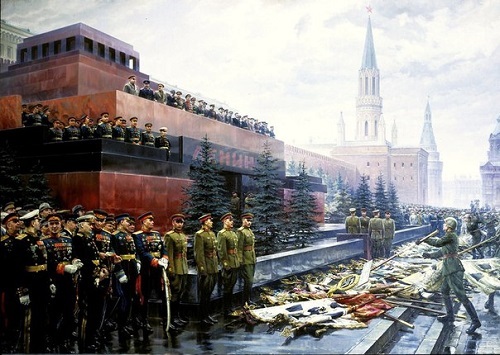 Temporary Mausoleum was built quickly – from the moment of speaking of Shchusev at a meeting with VD Bonch-Bruevich to the funeral of Lenin passed four days. 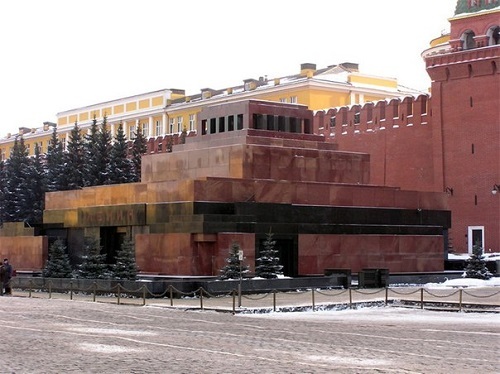 During this time, barely managed to dig and cut out in petrified by the cold ground a small memorial hall and set over the tomb of Lenin a wooden structure, in the form of a cube, on which was put three-truncated pyramid. But it was not possible to fully implement the original project of Shchusev. Soon the architect was instructed to turn a temporary mausoleum into the capital wooden structure. 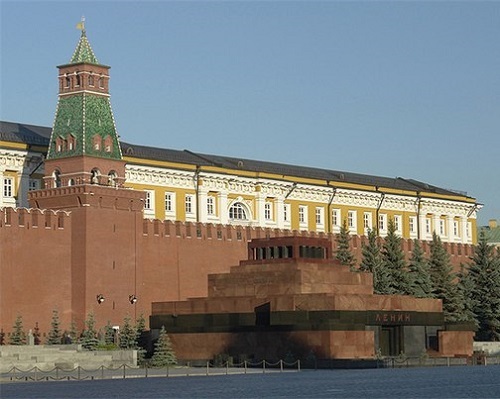 It is appropriate to cite his arguments on the project of the second wooden Mausoleum: “Mausoleum, although wood, of a temporary nature, but intended for the tomb of Lenin on Red Square, demanded for its composition intense attention from both the type and form of building – small, standing in the large square in front of the mighty historical Kremlin wall .. . 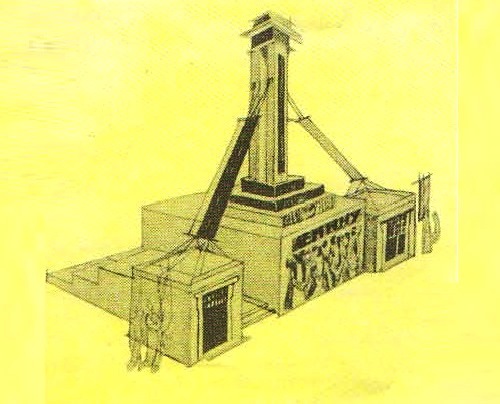 The second stone mausoleum was the prototype of the wooden Mausoleum. However, a wooden mausoleum was less than the stone. But Shchusev in the first sketch could prejudge the central position of the Mausoleum in Red Square ensemble. The artistic instinct, practical mind of Shchusev were such that the second wooden mausoleum, designed and built by the spring of 1924, contains close to millions of workers image of an architectural monument to Vladimir Lenin. 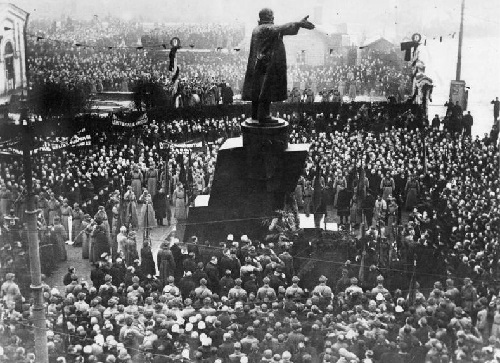 In January 1925, was announced a contest of projects of permanent Lenin Mausoleum on Red Square. It once again clearly showed the viability, the realism of the already created by Shchusev wooden mausoleum. 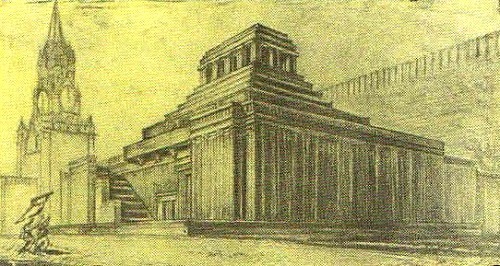 In 1929, a government commission, chaired by Voroshilov requested from Shchusev the draft of a permanent stone mausoleum. The task of transformation of the wooden mausoleum into stone was difficult. Its impressive solution was achieved by the harmony of artistic genius of Shchusev. 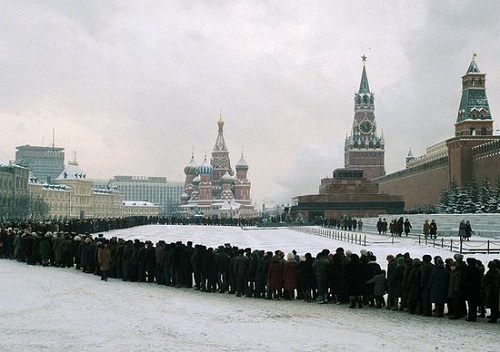 Success was on his side because Shchusev worked as a true patriot – Red Square was sacred to him. He created the mausoleum, which has become inseparable from the ensemble part of the whole area, finishing the ensemble of architectural and spiritual center. 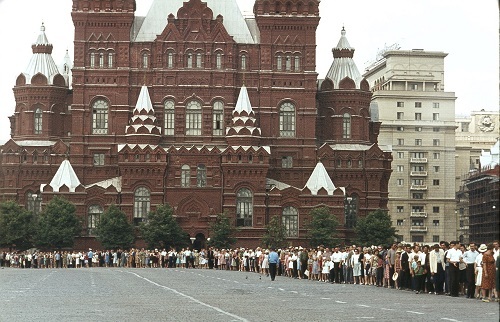 Variety of colors of granite blocks gave wall an organic relationship with the Kremlin wall. In addition to red and black, Shchusev introduced into the liner still and gray granite. As he called it – “the working color”, which, incidentally, provided the color connection with a stony covering. With the scale of the square, proportions and colors of the granite mausoleum were linked form, size and color of the stands. AV Shchusev proposed to plaster grandstand with the solution with admixture of crushed marble of pink color, suggesting that over time the pink color will darken and will blend in with the surrounding area colors. Blue silver fir trees – one more strict and beautiful coloristic detail. More than coloristic! 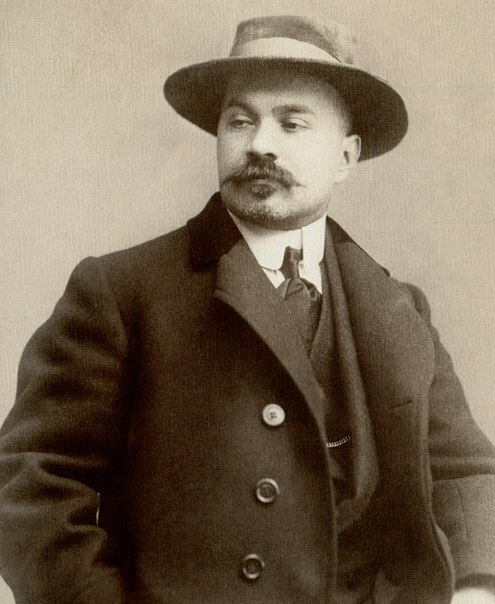 All major Russian architects were colorists. Why? For the simple reason – they knew and felt the native nature. That’s Red Square – either in bad whether, or in good weather – pleases us with its brilliance. It glitters, shines in good weather and on a cloudy day St. Basil, the Kremlin wall, the Mausoleum with their colorful richness turn a gray day into celebration. Mausoleum – the peak of creativity of Shchusev, a masterpiece of Soviet architecture. The architectural design of the strict clarity and purity of the expressed idea of ​​the eternal vitality of Leninism, of Lenin. “As simple as the truth” – said Vladimir Ilyich Lenin. Easy in the conception and execution, the Mausoleum – the greatest relic of the Soviet people, the main tribune of the country. 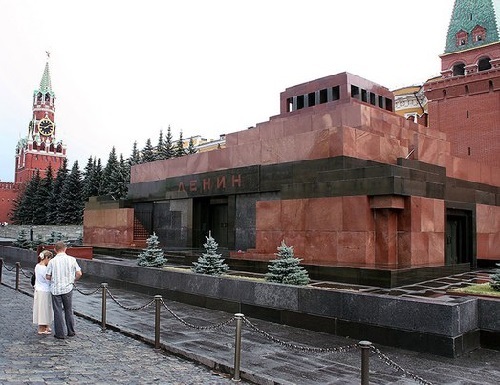 Mausoleum is a pure design, with brilliant simplicity connecting function of tomb of the leader, where people come to, having stayed a few minutes with Lenin, to strengthen their power and will, and tribunes, appealing to all our great nation and to the whole world.